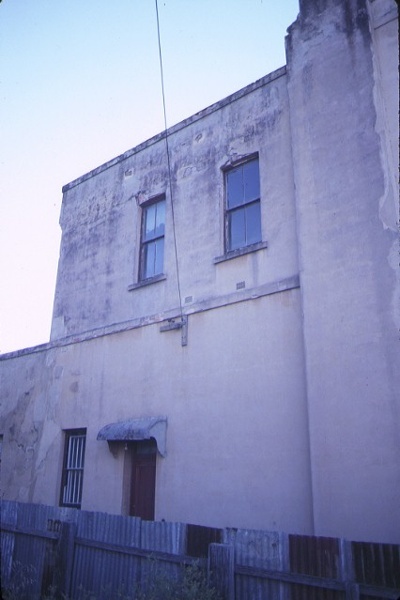 The ES&A Bank is a substantial two storey stuccoed building of solid masonry construction, with double height internal vault, set prominently in the middle section of Fraser Street on its 1858 allotment, part of the original township surveyed by John Templeton. The site was first purchased in 1860 by HA Thompson in 1860 and used by the Church of England for the site of the prefabricated timber church, St. Pauls Church of England, noted as one of the finest examples of an early timber church in Victoria. The building was relocated in 1869 to a more suitable, elevated site in Templeton Street. 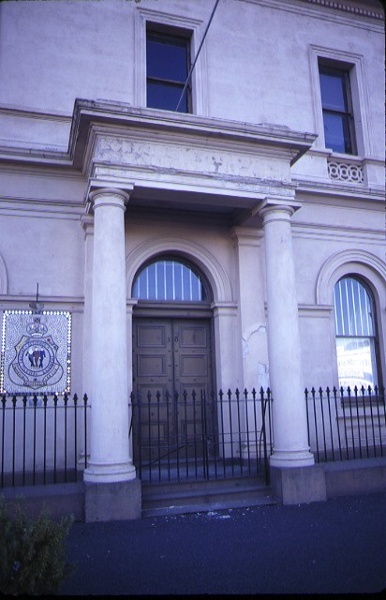 Tenders were called for the English, Scottish and Australian Bank in 1871 by architect, Leonard Terry, (1825-1884), made the diocesan architect for the Church of England in 1860 and responsible for the design of over 50 branches of all the major banks in Victoria, Tasmania Western Australia and New Zealand. The property was used as a private residence at the closure of the bank in the 1930s and purchased in 1954 by the Clunes sub-branch of the Return Soldiers & Seamen?s League. The building is used for social activities connected with the RSL Club, the Clunes RSL Women?s Auxiliary, the Red Cross and Clunes Lions Club, which has led to the modification of the two front banking chambers in the1960s for indoor bowls. The place is a focal point for Anzac and Remembrance Day commemoration and annual parade to the Fallen Soldier Memorial (1921), corner of Fraser and Service Streets. A Lone Pine tree has been planted in the rear garden of the property. Transplanted from the 24th Battalion tree at the Shrine of Rembrance, Melbourne, which was raised from the pine cone taken from the solitary pine on the Plateau 400 at Gallipoli, the scene of the fiercest had to hand combat by Australians in World War 1. The ES&A Bank is of historical, architectural and social, significance to the State of Victoria. 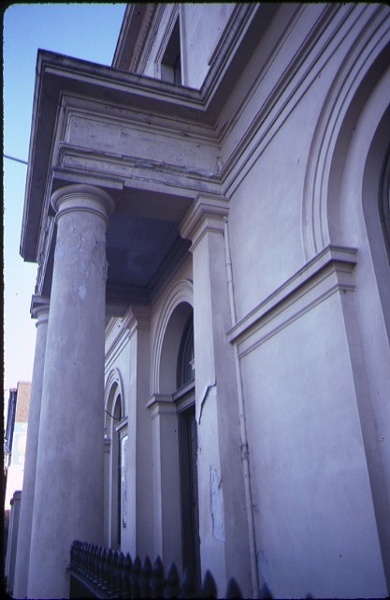 The ES&A Bank is of architectural significance as an excellent surviving colonial bank designed by leading Melbourne architect, Leonard Terry (1825-1884). He was responsible for the design of a large number of banks throughout the colony and regarded as one of the most important bank architects in Victoria at the time. Completed in 1871, the building is typical of Terry's conservative Renaissance Revival style. 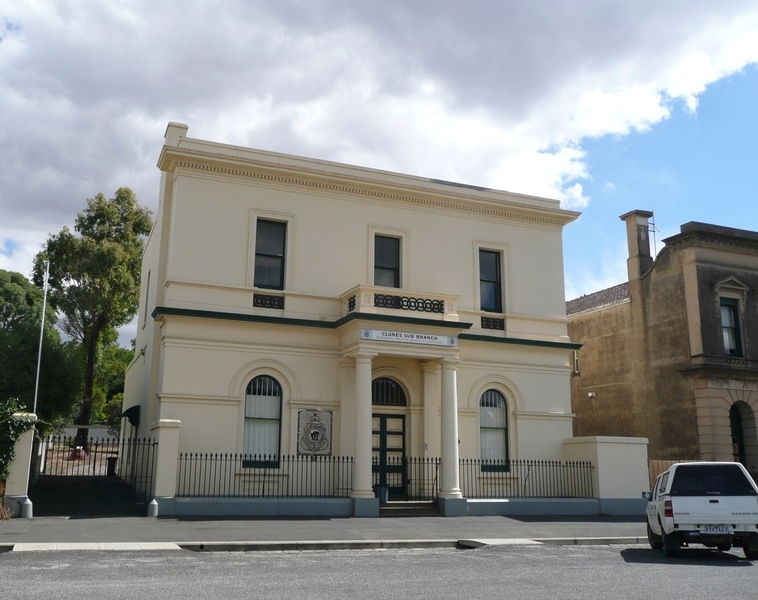 The ES&A Bank is one of three banks in Fraser Street, the design of the former Union Bank is also attributed to Leonard Terry, together, they form a landmark precinct, built at the peak of Clunes prosperity, one of the first gold mining towns in Victoria. The ES&A Bank is of historical and social importance for its association in the late 1860s and early 1870s, with the relocation of the earlier commercial development from lower Fraser Street. The rebuilding and consolidation of Clunes, with landmark buildings such as the banks, demonstrates the optimism and wealth expressed in the future of the local quartz reef gold mining ventures, which suddenly collapsed in 1890 leading to a major decline of the town. Shire of Talbot and Clunes. No.340. Former E.S.A. Bank, R.S.L. Building, Fraser Street, Clunes. A Conservation Management Plan be prepared for the building. The front cast iron palisade fence and gates are preserved and retained. The shell mosaic R & SL plaque designed by A. Pickford on the front elevation be conserved and retained. Minor repairs and maintenance, which replace like with like, including fences and gates. Minor repairs and servicing of equipment and services where they do not impact on identified significant items. Removal of extraneous items such as air conditioners, pipe work, ducting, wiring, signage, antennae, aerials etc, and making good, Maintenance of powerlines and pipelines or other public services located on the property where this involves no alteration to the fabric of the place or where repair is replaced like with like. Interior decoration to the main rooms which involves painting, papering and fitted floor finishes but no works which require the removal of joinery, plasterwork and structure. Alterations to the kitchen, laundry and toilets to the extent of new fittings and surfaces. Installation, removal or replacement of smoke detectors, Installation, removal or replacement of electrical wiring if all new wiring is fully concealed and any original light switches, pull cords, push buttons or power outlets are retained in-situ. (Note: if wiring original to the place was carried in timber conduits, then the conduits should remain in-situ.) All non-structural works.